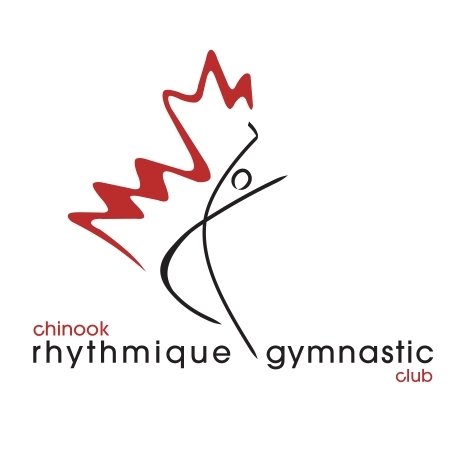 Chinook RG has over 25 years of experience training all levels of gymnasts, we strive to provide our gymnasts with the highest quality of coaching available. We are the only club in Calgary training National level gymnasts and we have consistently had gymnasts on the Canadian National team since 1992 and medalists at Western Canadian Regionals since 1991. Repsol Sport Centre (formerly Talisman Centre), our home from the beginning, is a nationally recognized training facility that exceeds our sport's unique requirements. Rhythmic Gymnastics is an Olympic Sport that combines the grace and passion of dance, combined with superb coordination and agility of apparatus handling. Rhythmic gymnasts are constantly in motion with a hand apparatus such as a ribbon, rope, ball, hoop or clubs. The apparatus moves in sync with the gymnasts body movements and to the music which creates an expression of exemplary beauty and visual excitement. Rhythmic is a distinctive sport which promotes the development of flexibility, power, coordination, gorgeous extensions of the body, with elegance and artistry. 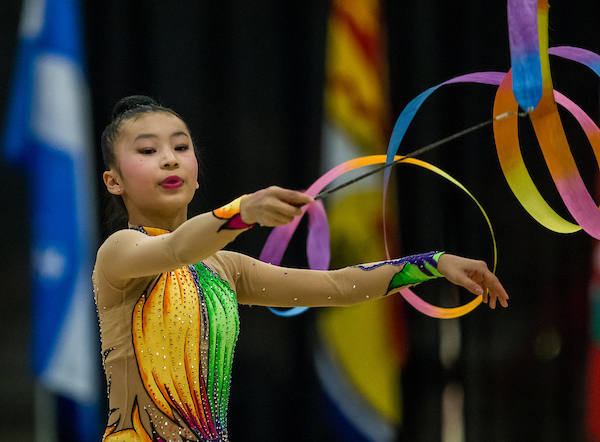 There are many benefits to the sport of rhythmic gymnastics that transfer to other areas of life. This sport builds self esteem, requires discipline and develops courage. It promotes life long physical fitness, endurance, reinforces rhythm, musical dexterity and inspires creativity with the expression of ones self in an individual style. Not only an amazing and mesmerizing sport to learn, but equally fascinating to watch. Where we Train and Play Literally our Home!